Ya got to love a good graphic tee. 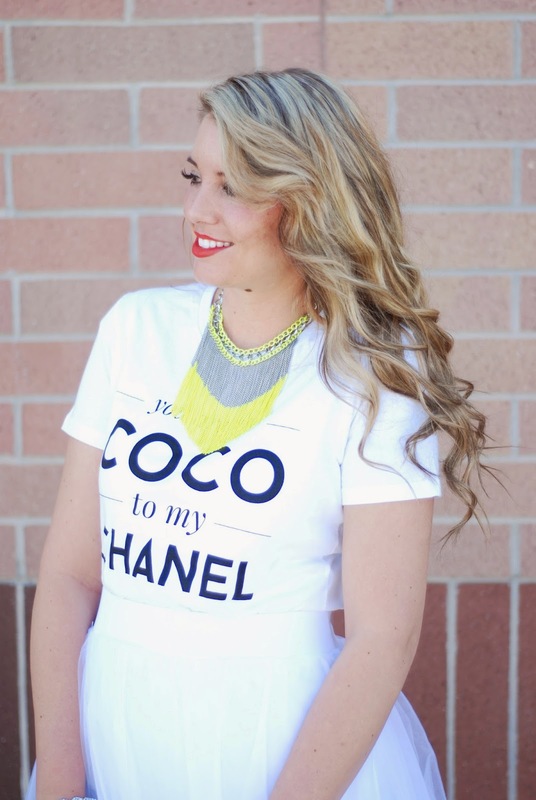 I can say Style Lately takes the win for the cutest graphic tees! I love this one! 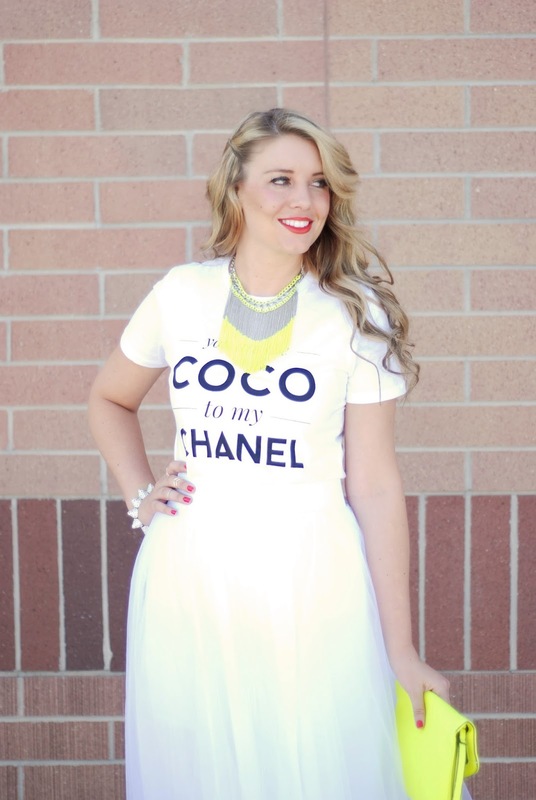 I love the fabric and I love the fit and of course I love that it says You Are The Coco To My Chanel! 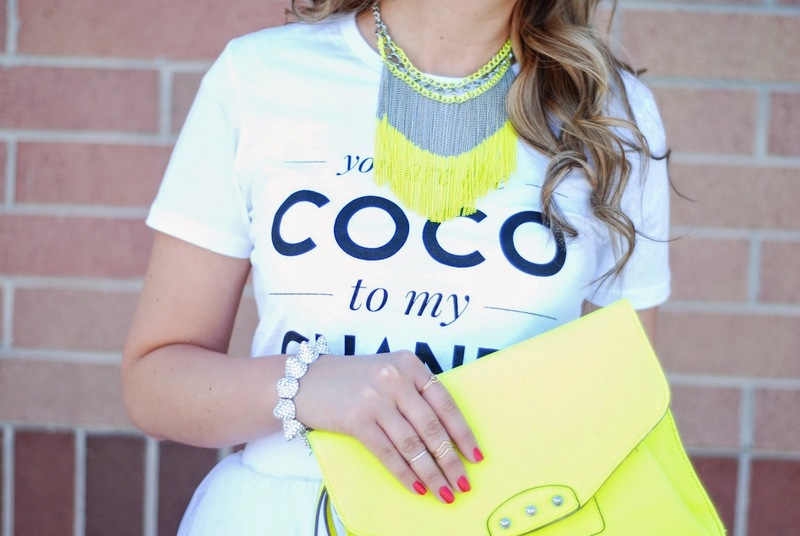 I love the all white look especially in summer with pops of neon/color. It is definitely my favorite!! I hope your week is going great! :) Make sure to enter in the Nordstrom $500 gift card giveaway in the previous post! !